Joey Savagty qualifies on top in the 450 class. 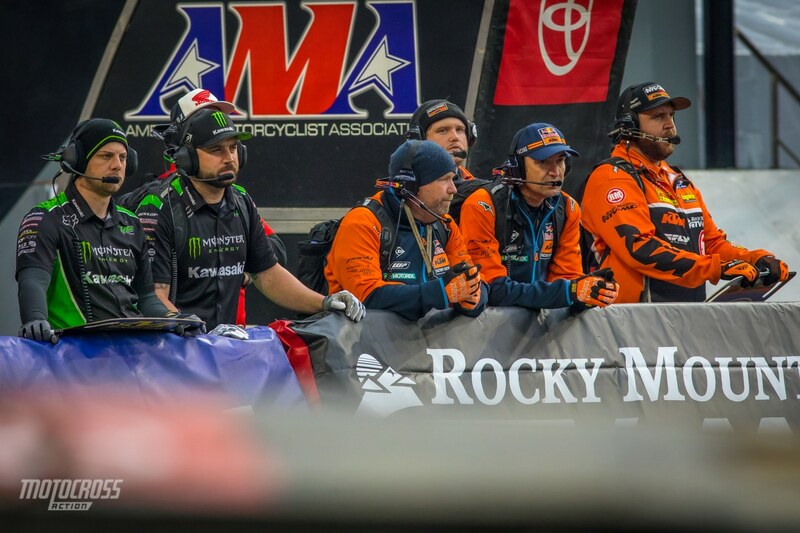 The 2019 Monster Energy Supercross series has officially headed East for round number six of the season. 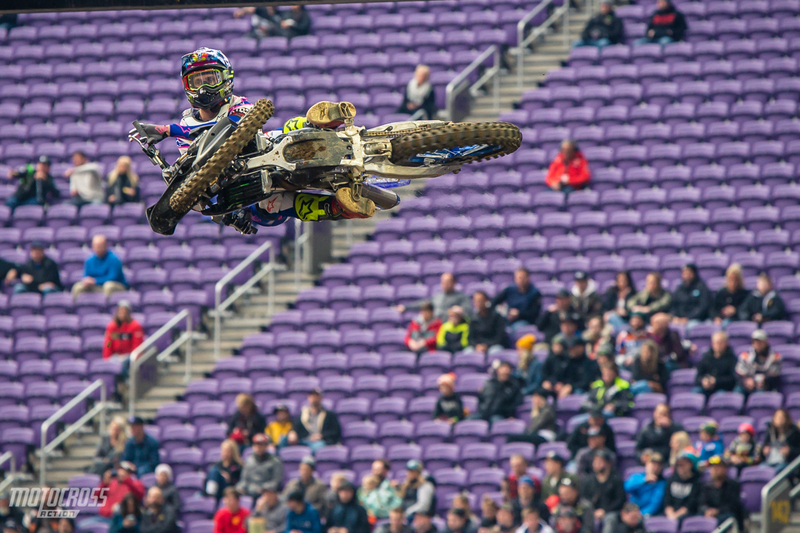 The Minnesota Viking’s football field has been transformed into a Supercross track and it’s looks like it will be a great track for racing. Currently in the 450 Championship point standings, Eli Tomac has a four point lead over Ken Roczen and Marvin Musquin who are both tied for second. 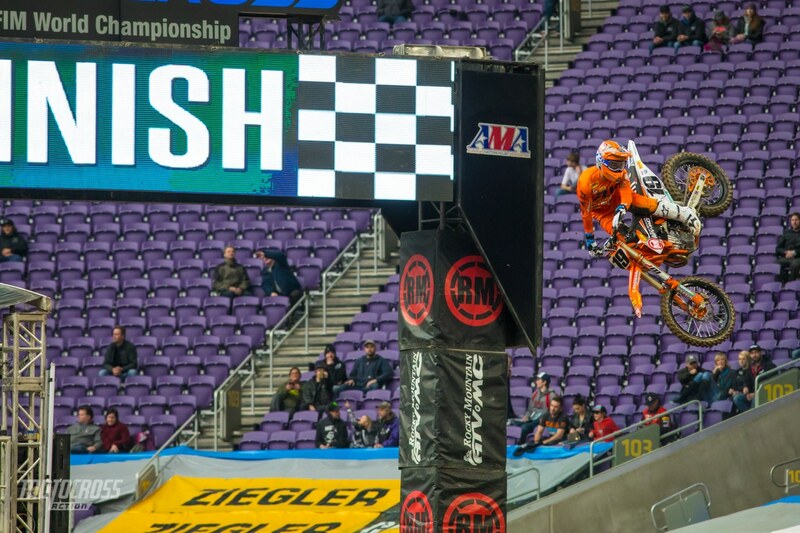 MXA is here in the cold state of Minnesota to capture all of the action. Keep checking in with us throughout the day for results, photos and news from round six in Minneapolis, Minnesota. For his first time in the 450 class, Joey Savatgy qualifies on top! This is Savagty’s rookie season in the 450 class and he’s becoming more and more comfortable on the bigger bike each week. 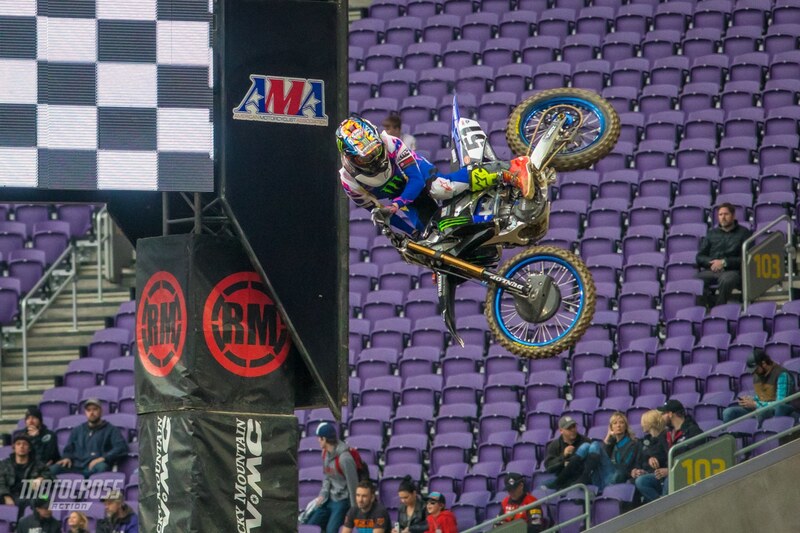 Joey won his first heat race in Oakland and he’s looking good in Minneapolis tonight. 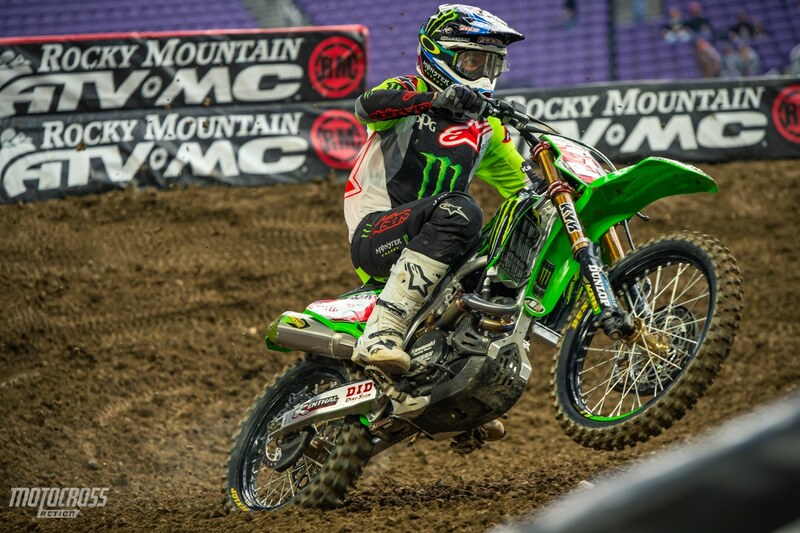 Joey’s Monster Energy Kawasaki teammate Eli Tomac qualified in second and Marvin Musquin qualified third. Also, there were only 38 riders that showed up to race the 450 class and because we take 40 riders into the night show, all 38 of them will race tonight and there will be two open spots on the starting gate in the heat race. 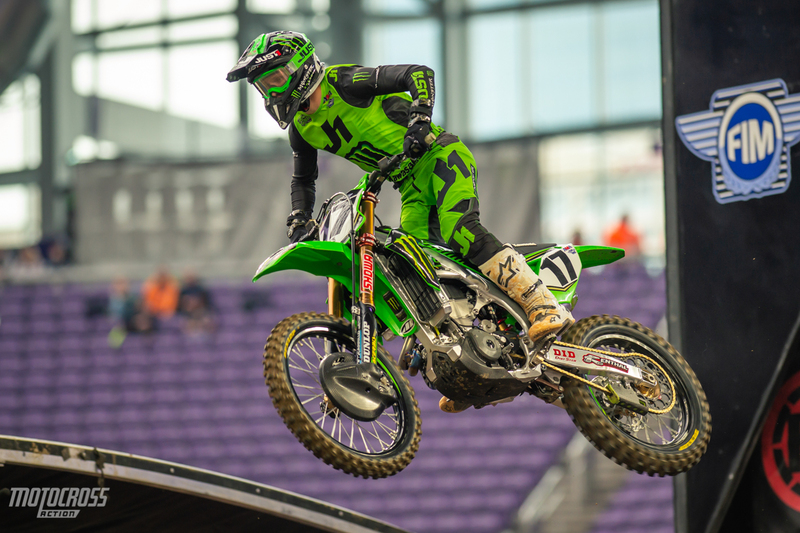 The points leader, Eli Tomac qualfied second in Minneapolis. Dean Wilson sits twelfth going into the night show. 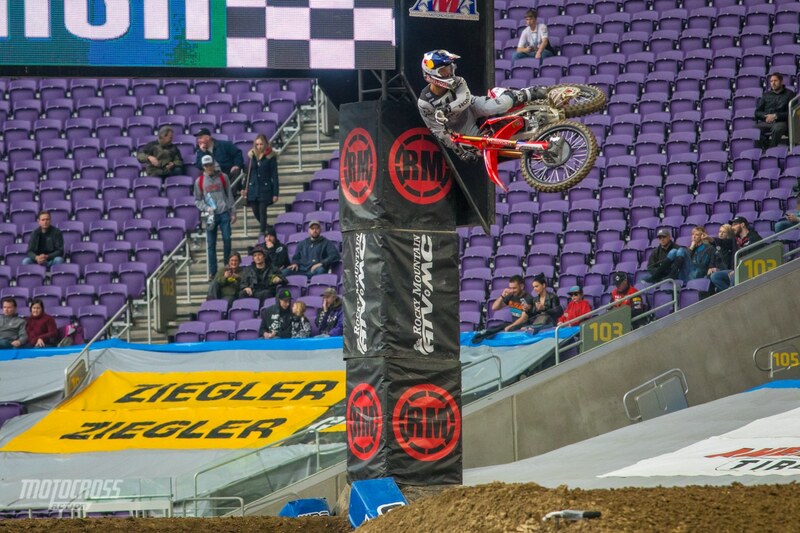 Ken Roczen getting sideways in Minnesota, he qualified 8th. Justin Bogle also threw some style off the finish line. The Kawasaki and KTM mechanics all have their game faces on. 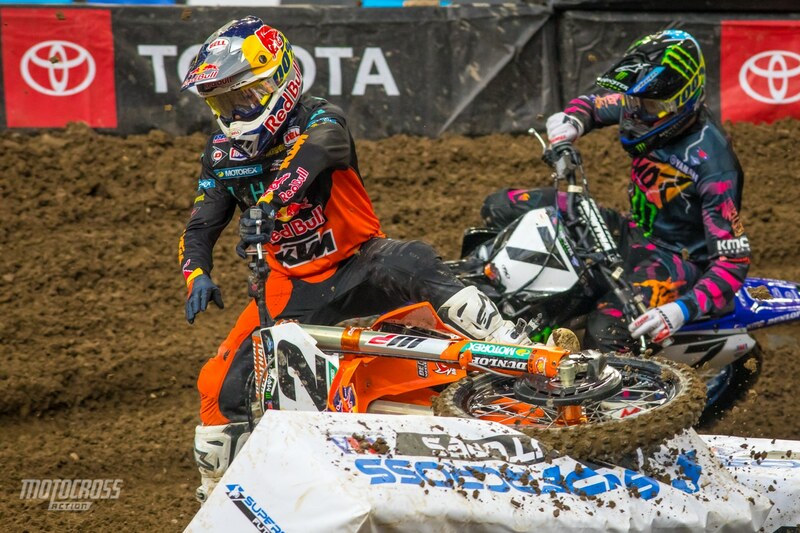 Kawasaki qualified first and second while KTM was third, fourth and fifth. Photo one, Cooper Webb had a little crash. Photo two. 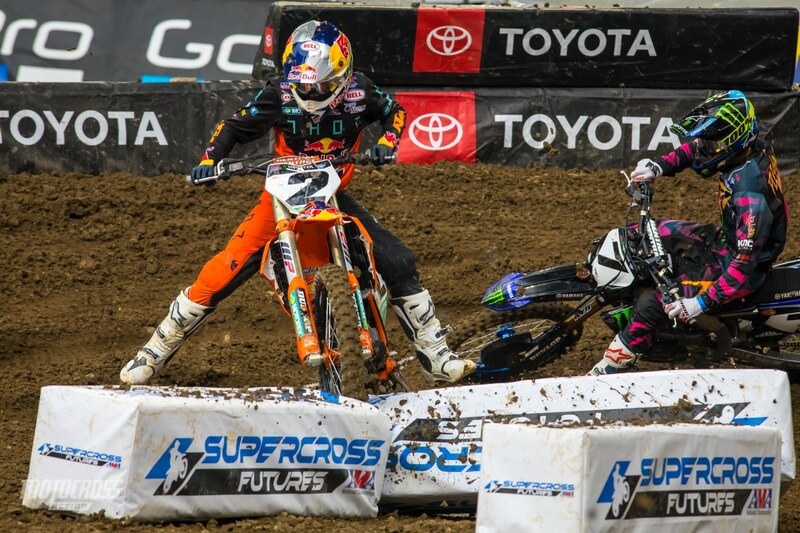 Besides this small wreck, Cooper Webb had a great qualifying session. He was second behind his teammate. 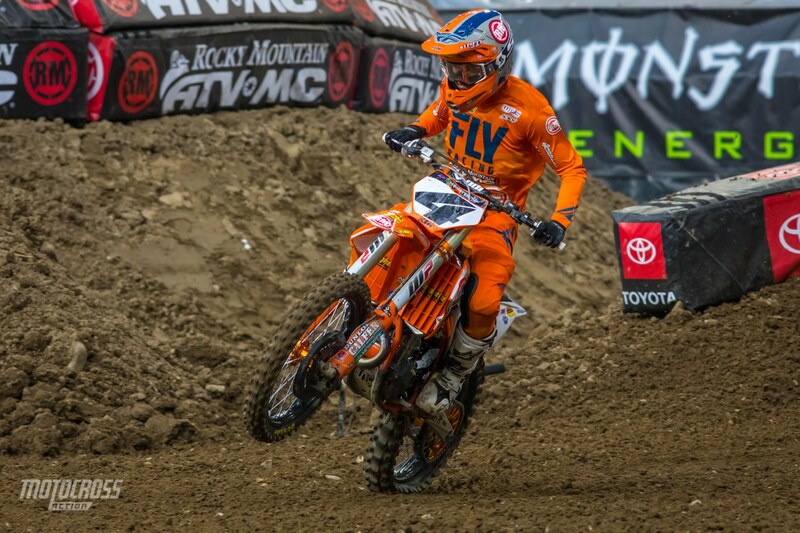 Blake Baggett was on the gas, he sits third after the first qualifying session. 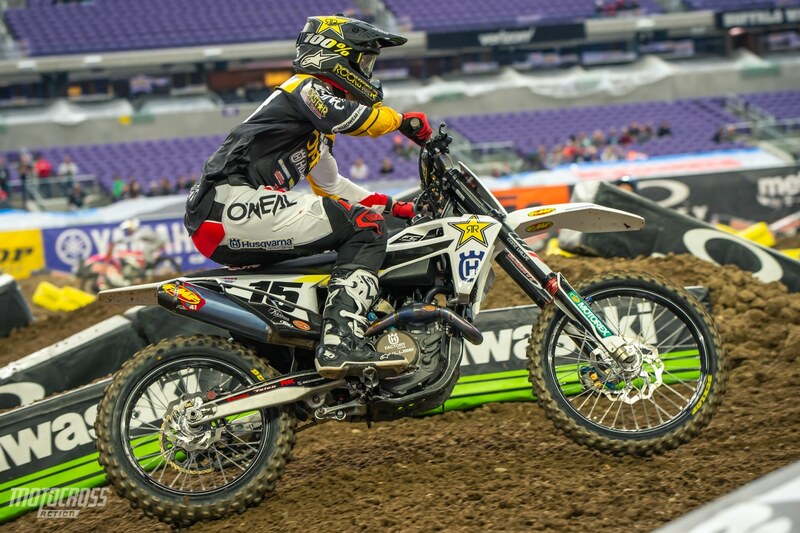 Justin Barcia is feeling comfortable in Minnesota! He was seventh in the first session.